Happy Friday! This weekend is set to be a beautiful one, and I'm planning on soaking up every bit of the warm 80 degree weather we're forecast! I'm thinking of taking Lucy to the zoo in hopes of spending some last minute alone time with her as well as walking this baby on out of me! 5.) I went to Target for diapers earlier this week and came home with these matching dresses for Lucy and I from the new Marimekko line. #targetdoesitagain. 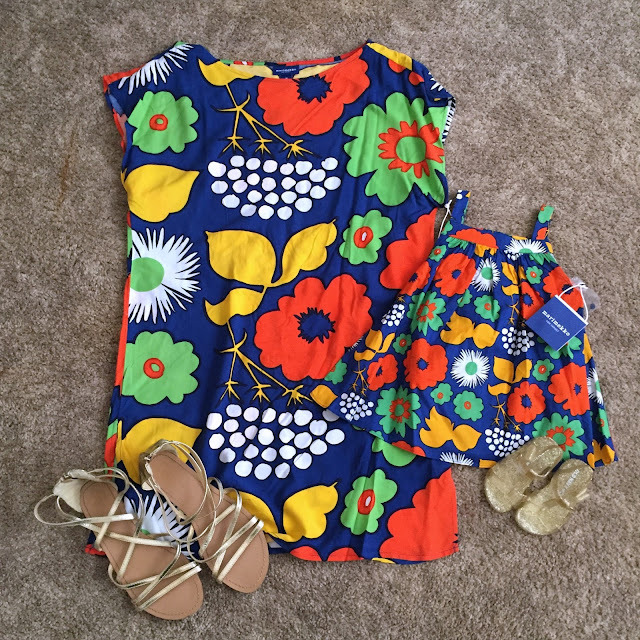 I just love this Kukkatori print and couldn't resist the chance to get matching outfits for me and my girl! 4.) Last weekend, some sweet friends of mine held a little baby sprinkle for me and Mr. Parker. It was so sweet and I'm so blessed to have such wonderful people in my life! 3.) I'm actually really loving the outfit I threw together for that sprinkle. I've been dying to wear my Lilly Pulitzer Windsor Strapless Dress that I snagged at the last After Party Sale, but with a growing belly and cool temps, it just never had a chance. It was finally warm enough out to ditch the straps, so I thought, why not try it out as a tunic? It worked like a charm! I really can't wait to wear it as intended this summer. 2.) 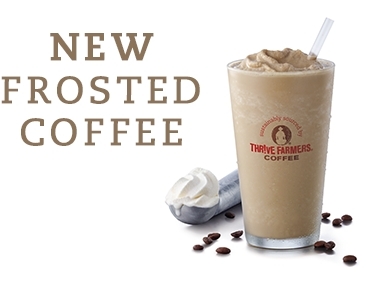 Have y'all tried the new frosted coffee from Chick-fil-a, yet? It is SO good! It's their yummy coffee blended with their ice dream soft serve....basically a coffee milkshake, that is so dang delicious. I think I may have found a contender to my usual mocha frapps at Starbucks. You have to try it! 1.) Speaking of yummy frozen treats, Lucy had her first Ted Drewes this weekend! If you're ever in the St Louis area, you absolutely have to hit up Ted Drewes Frozen Custard. It's ridiculously good and at a great price, plus it's a total St. Louis staple. How is your weekend looking? I hope you have a great Friday! 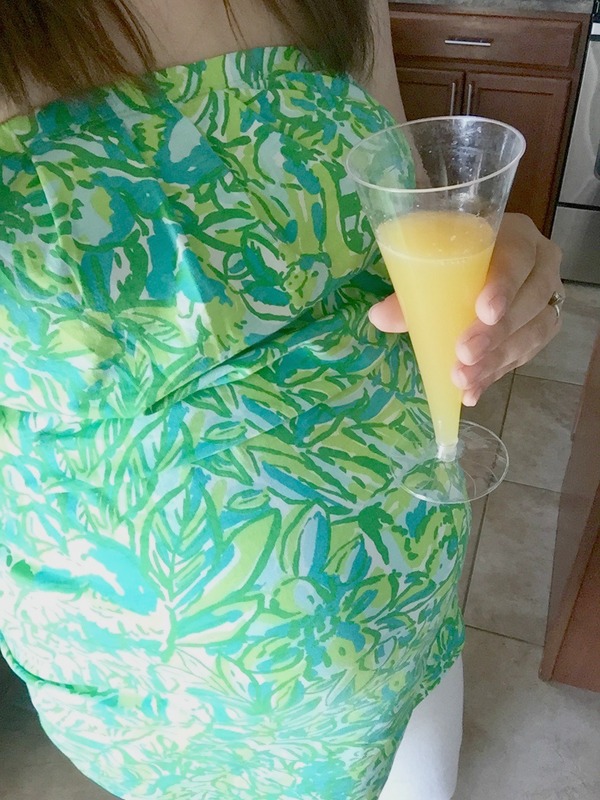 A Sprinkle for Baby Parker! What's in My Hospital Bag for Baby #2?